Is a BOTOX Party a Good Idea? There’s a dangerous new trend spreading throughout the United States – BOTOX® parties. This is an extremely risky way to get rid of wrinkles. Why? Because in order to have a BOTOX party, the host orders syringes and botulinum toxin type A online illegally. When the items arrive, the party guests give themselves the injections. If you’ve ever had this treatment performed professionally, you probably think that it’s easy enough to do it yourself or to someone else. The problem is that it’s not easy at all. First off, when you order a solution online from the black market, you don’t really know what you’re getting. The solution may be of extremely poor quality, is diluted, or may even be contaminated with bacteria. As an aesthetic injector, I know where and how to inject BOTOX into facial muscles. The way I inject clients follows the highest and safest standards so that client results lead to smoothing away wrinkles and fine lines with a natural appearance. The key words here are ‘natural appearance’. One of the most common jokes about these injections is that they cause the face to become expressionless. For instance, not being able to frown when feeling sad or smile when happy. This is untrue when an experienced medical professional administers the injections. Reduced facial expressions aren’t the only side effect of having an inexperienced injector. Pain is also a possibility. If the injection hits a nerve, the person may feel a lot of pain. Bruising can also occur if the syringe is inserted too deeply. roat, mouth, and other facial areas could become paralyzed, leading to serious medical issues. If the solution is injected into the skin rather than into the muscle, the person could suffer from botulism poisoning, a life threatening situation. Don’t put yourself or your friends at risk with this type of party. 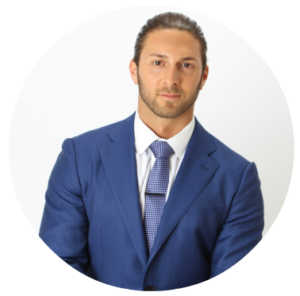 It’s a better idea to contact an experienced aesthetic injector (also known as “The Botox King”), James Christian Sardelli, RPA-C, for an appointment for you and your friends. Just like you would go to a spa with your friends, come in as a group to James Christian Cosmetics to get BOTOX, fillers, or any other specialty treatments James offers. To book a group appointment, call 1-844-iBOTOX-Now Monday-Friday from 9 AM to 5 PM for more information. You can also click here to send us a message or call/text us 24/7 on our Cosmetic Concierge line at 917-860-3113. James Christian Cosmetics serves Suffolk and Nassau County areas of Long Island and beyond, including Islip, West Sayville, Westhampton Beach, Commack, Manhattan, Rockville Centre, Farmingdale, and Babylon Village, NY.